Through 4/23, shop the Vera Bradley Outlet and save up to 60% on handbags, accessories, and more. 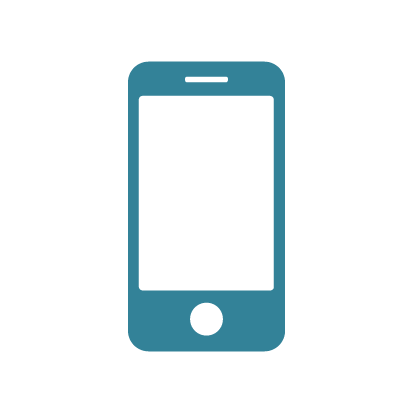 Plus receive an extra 30% off your order automatically at checkout. Even better, shipping is free. Note that you'll need to enter your email to access this sale. This Triple-Zip Hipster Bag in multiple patterns drops from $68 to $34 to $23.80 automatically in your cart. We couldn't find this style for less than $42 anywhere else. Also, this On the Go Hobo, originally $78, drops from $27.50 to $19.25 in five patterns. That's a savings of up to 75%. Sales tax is charged in most states. 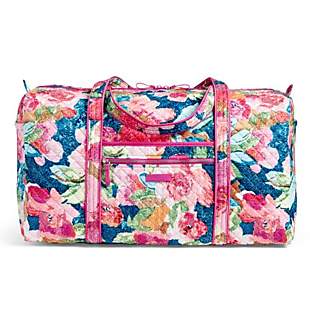 Check out this Vera Bradley Iconic Large Travel Duffel, which drops from $98 to $49 to $34.30 when you add it to your cart at Vera Bradley Outlet. Plus shipping is free. This is the lowest price we've ever seen on this bag, and it's a current price low by $29. Choose from 10 patterns. This bag features multiple interior and exterior pockets with a zip-top closure. It measures 22" x 11.5" x 11.5". Note that you'll need to enter your email to access this sale. Sales tax is charged in most states. 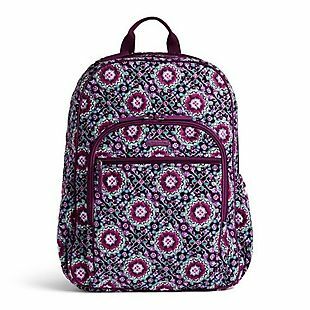 Originally $108, these Vera Bradley Campus Tech 25L Backpacks drop from $54 to $37.80 each when you add them to your cart at Vera Bradley Outlet. Plus shipping is free. This is the lowest price we found by $30. Choose from seven patterns. This backpack features two exterior zip pockets and side pockets. Inside it has a zippered laptop compartment and multiple pockets. It measures 12" x 15" x 7.5". 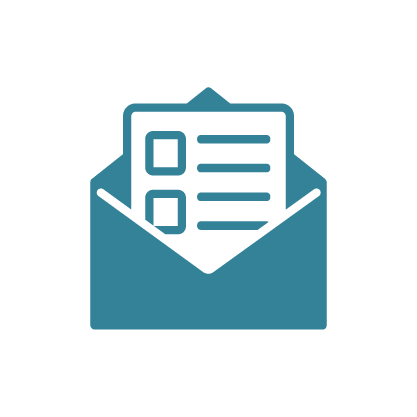 Note that you'll need to enter your email to access this sale. Sales tax is charged in most states. 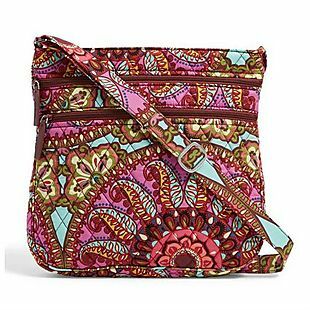 Get a Vera Bradley Lunch Bag for as low as $8.40 when you add select styles to your cart at Vera Bradley Outlet. Plus shipping is free. 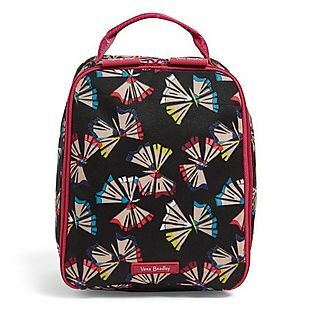 For example, this Lighten Up Lunch Bunch Bag goes from $34 to $12 in three patterns. Add one of them to your cart and the price drops to $8.40 automatically, which is a price low by $14. Note that you'll need to enter your email to access this sale. Sales tax is charged in most states.